One piece of advice we’ve seen steadily gain traction is to create passphrases instead of passwords. With each extra character added to a password, there are an exponentially larger amount of permutations that a hacker would have to guess in order to brute-force their way in. Whilst not the only indicator of security, it’s always wise to create a password that cannot be easily cracked by machines. We checked out this site which estimates how long a password would last in such a scenario and the results are very telling. ‘C0mpl3x!’ would be cracked in about 9 hours, whereas ‘thisisacomplexpassword’ would take an estimated 11 TRILLION years. Many systems and websites currently restrict the allowed number of characters in users password to 8-12 characters. 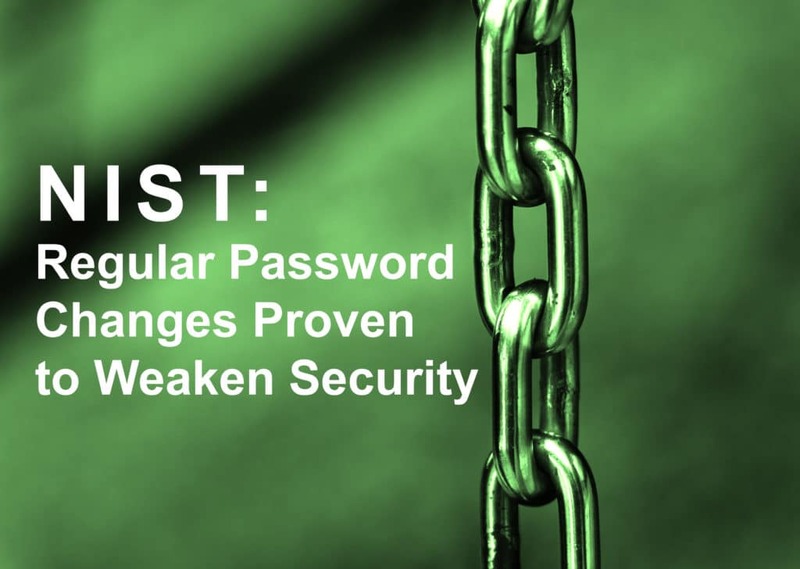 The new NIST guidelines (as per the quote above) recommend that password parameters be modified to allow users to enter passwords at least 64 characters in length. This would allow people accessing systems to create passphrases as long as they like. This is a big change to the current rulebook. Whilst NIST recommends that providers allow all ASCII or UNICODE characters, including spaces and even emojies, they recommend that no specific requirements be put on the user. This is because most people use similar patterns when forced to create passwords in this manner, such as a capital letter at the start and a number or special character at the end. Cyber criminals take advantage of this pattern by running their attacks through dictionaries, including common substitutes such as $ for S, 0 for O, and so on. Passwords created under these strict rules not only often end up still being weak passwords, but also tend to be re-used across multiple platforms, meaning that if hackers get one password, they have access to everything. These were all stored in plain text too, so when the hackers got their hands on this list, a large portion of passwords were easily guessed without resorting to brute-force or any other advanced hacking techniques. Password Managers such as LastPass or Dashlane have been around for a while now, and while more people are starting to make use of them, some companies advise against them or even prevent the ‘paste’ function in password fields to deter use of them. The fact of the matter is, passwords must be strong and must not be resused, which means the vast majority of people are simply going to be unable to remember them all without a password manager. Yes, password managers aren’t perfect, but using one is definitely better than the alternative at the moment. Furthermore, when these companies prevent users from being able to paste their secure passwords into their fields, then it causes many users to weaken their passwords to easily-typed (and easily-hacked) versions. As noted above, regular passwords changes tend to do more harm than good, as users often find it easier to create a new variation of their password than a new one entirely, especially if you have to do this for multiple credentials. Even Microsoft, which reportedly sees 10 million attacks a day, has spoke out against such policies, stating that “password change offers no containment benefits as cyber criminals almost always use credentials as soon as they compromise them”. Now, we don’t advocate any companies or organisations suddenly doing away with their password policies without any replacements, as it is crucial they still monitor user logins to detect any unusual use and notify users with details of said unusual login attempts. We now know that cyber criminals have gotten their hands on billions of user credentials at this point, but is it safe to use a breached password that was associated with another user, but never your own account? Most certainly not, unfortunately, as hackers have built up databases containing the most commonly used passwords and routinely try these against user logins. However, these databases are also accessible for developers, who can then prevent users from signing up with known bad/breached passwords such as ‘thisisapassword’, ‘changeme’ and so on. In fact, it is also advised that users don’t use context-specific passwords, such as including the name of the website or username in their password. So to summarise, the rulebook has definitely changed now that we’ve seen the effect that many password guidelines have had in practice. We highly recommend the use of password managers, and even 2-factor authentication where possible, as well as using longer passphrases instead of those shorter, more ‘complex’ ones. We would also recommend checking out haveibeenpwned.com, which allows users to check their email addresses against a list of known breaches in case any of their passwords have been compromised. 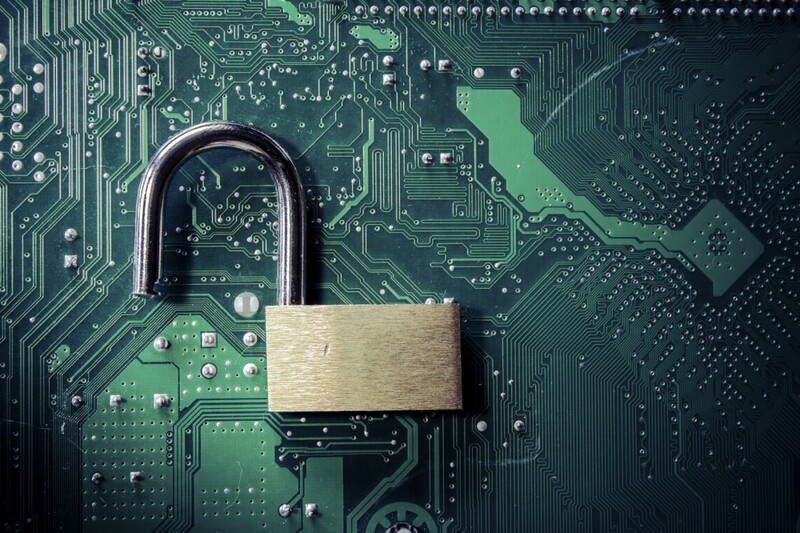 With the GDPR coming up and substantially larger fines upon failure to safeguard data, now is the time for businesses to make sure their IT policies and procedures are GDPR-aligned and their staff are trained in cyber awareness.